Handel Street Projects is pleased to present four new paintings by Mark Fairnington. 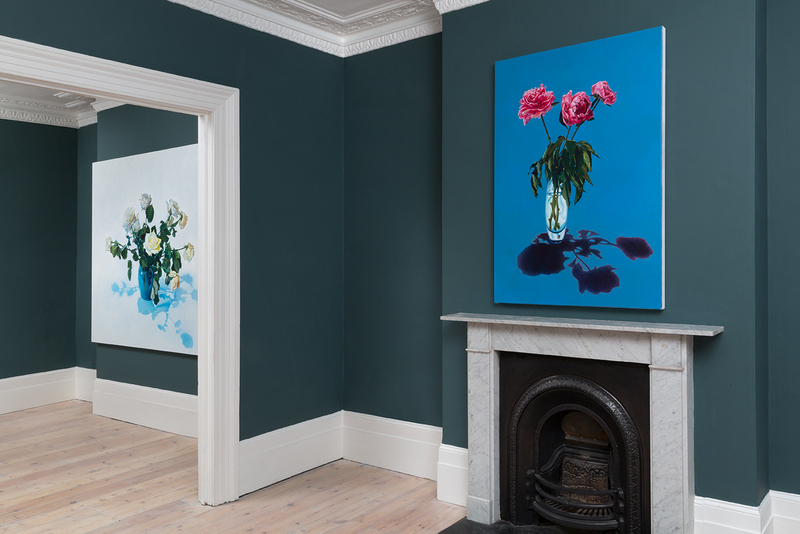 They all depict a vase of flowers in an unspecified space with no direct references to the interiors that they are in. These are large paintings that inhabit the domestic rooms of the gallery with an outrageous assertiveness, exaggerating the monstrous complexity of the plant’s structure. The details of each bunch of flowers are rendered with obsessive, unnatural clarity and the titles reflect on the emotional implications of this overreaching realism: The Explosive Child, This Thing of Darkness, Sexual Anarchy and The Worm in the Bud. These are all titles of books that suggest an implied threat to established order, without that threat being specified or understood. Fairnington’s work occupies a position somewhere between the 18th century collectors who sought to rationalise the unfamiliar through taxonomy and the surrealists who subverted the natural order to explore further the workings of the human mind. Whether it be large scale paintings of mounted insects, taxidermy displays, portraits of bulls or people his interest has been resolutely in the eccentricities the one required to stand in for all: the specimen. 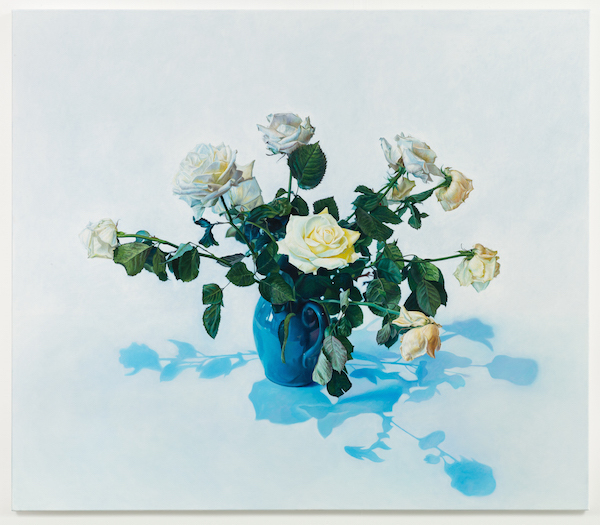 Mark Fairnington is Reader in Painting at the University of the Arts London and much of his work has resulted from research projects with museum collections, sustaining a visual examination of the idea and image of the specimen. Past projects have been with the Imperial War Museum, Oxford Museum of Natural History, the Natural History Museum, the Horniman Museum and the Wellcome Collection. In 2002 the Welcome Trust funded a field trip to Belize, with the biologist Dr George McGavin from Oxford University, with aim to study the use of mimetic camouflage by insects called treehoppers. In 2004 an exhibition of Mark’s work, Fabulous Beasts, was mounted at the Natural History Museum. Unnatural History, 2012, was a retrospective at the Mannheim Kunstverein, Germany. His most recent solo exhibition, Collected and Possessed, was at the Horniman Museum in London last year. Mary Horlock, author of The Book of Lies and forthcoming Joseph Gray’s Camouflage has been commissioned to write a short story to accompany the exhibition at Handel Street Projects. The commission has been made possible through funding from The University of the Arts London. You can read the story here. 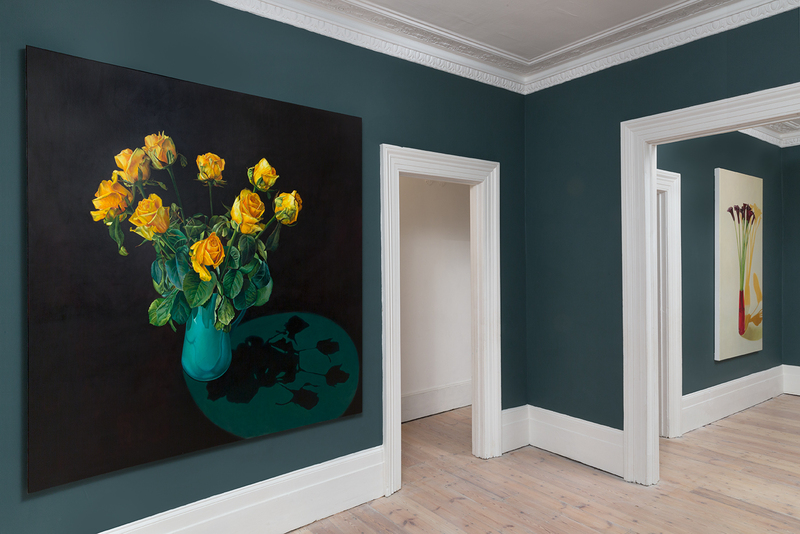 We are pleased to announce that Mark Fairnington’s show at Handel Street Projects is currently featured in artforum.com’s Critics’ Picks section.